Taps: Joseph Kanehoa Adams, Jr.
Joseph “Papa Joe” Kanehoa Adams, Jr., 69, of Kaneohe, Hawaii, died in Kaneohe on August 15, 2018. He was born in Honolulu. Visitation: 6:00 p.m. to 9:00 p.m. on Monday, October 1, 2018 at Hawaiian Memorial Park Mortuary. Services: 10:00 a.m. on Tuesday, October 2 at St. Ann Catholic Church. Burial: 1:00 p.m. at Hawaiian Memorial Park Cemetery. 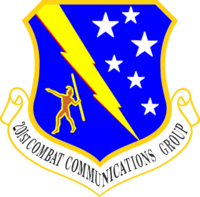 Joe Adams served in the 201st Combat Communications Group for many years until his retirement.